Honey G Rapper Cap. Elasticated Crown. One size only. 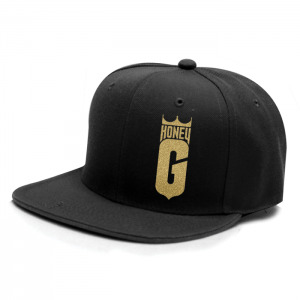 Flat Peak Rapper Style with embroidered Queen Honey G Logo in Gold Thread.